this instance is currently having some issues, will dig in and see what&apos;s up soon. Seems like it may just be nonstop ruby errors coming from interoperability problems? Will try to update to latest stable mastodon in the next day or two. My apologies for the service degredation! @Alonealastalovedalongthe I try not to be categorically for or against anything in particular unless there&apos;s a strong evidentiary basis for causal links to good outcomes. Is there anything about celebrity and the relationship graph structure in particular that you find troublesome or worthy of further consideration? @Alonealastalovedalongthe I don&apos;t feel strongly about it one way or the other. From a technical perspective I think celebrities are definitely likely to make these networks more lop sided and difficult to manage (see early twitter panics when bieber tweeted lady gaga or whatever). This might end up happening over time on mastodon as-is though, as existing accounts grow in popularity. Still a big difference between organic on network growth and celebrities bringing their existing fans though. 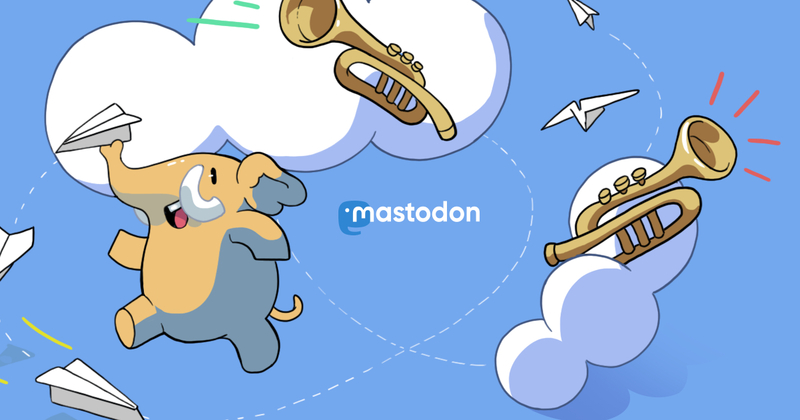 I ought to have written something more long form about mastodon&apos;s ten year overnight success that hasn&apos;t quite taken hold yet. Seems like we&apos;ll hit critical mass for network effects to cause higher endogenous growth, rather than something exogenous like twitter increasing ban frequency. Then again, I could be seriously underestimating the draw of celebrity accounts. I&apos;d imagine celeb accounts bring in a less engaged user on average, so maybe this balances out from a network health perspective? Generally I&apos;m not one to shill but I just wanted to give another nod to sweetwater.com for being so damn good. If you need to buy pro audio stuff in America I can&apos;t recommend them enough. Amazing service, great prices (call and ask for a discount too), super prompt and knowledgable. Can&apos;t wait for these Yamaha HS8s to get here!! how can we containerize opportunity? oooo these all look dope!